The airport can be an expensive place to travel through. 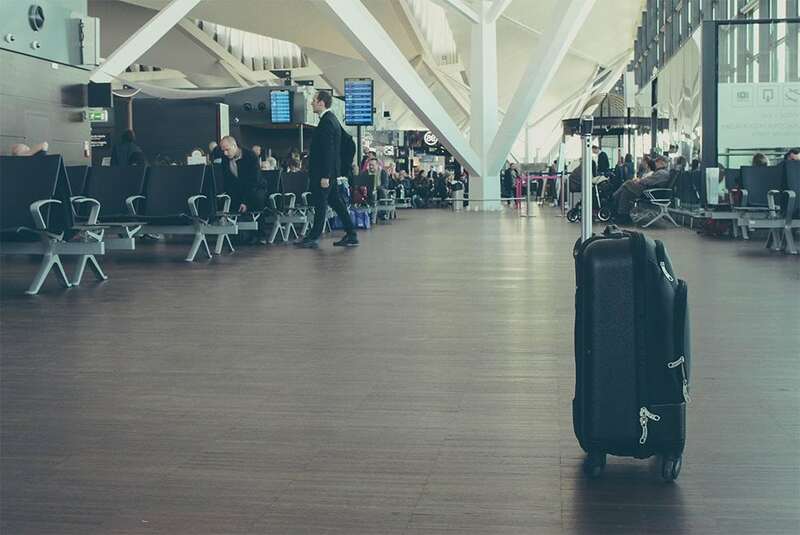 Not only do you have your airline fares, bag fees, taxes and more, but then there is the expense of all the extra items you may need to pick up while waiting for your flight. The forgotten phone charger or neck pillow for the long flight can really set you back quite a few bucks. But do not worry, we’ve got ways you can save yourself some money while traveling through the airport. Bottled water can be a huge expense at the airport. The price per bottle can be as much as the cost of a full case of bottled water at the grocery store. But since you cannot pass through security with bottled water of any kind, this is one item that many people buy at the airport after they have made their way past security. If you are grabbing water for a family of four before hopping on that flight, then you could be dropping as much as $20.00 before your trip even gets started. Spare your wallet some hurt and bring a reusable water bottle with you in your carry on. Fill it up at a drinking fountain before getting on the plane. Doing this allows you to save money and have a water bottle available to you for your entire trip. This one can be unavoidable at times when traveling, especially in situations where you end up with delays while waiting for your flight. However, keep in mind that the food at the airport is highly overpriced. And with limited options, you may find it difficult to find something for the whole family or may end up with some not-so-good-for-you options. If you know you will be traveling during a typical meal time or think you might get hungry in the process, plan ahead. Bring your favorite snacks with you or pack a couple of your favorite sandwiches. Portable food items from the grocery store are perfect for travel and won’t cost you an arm and a leg. Souvenirs purchased from the airport can cost a heck of a lot more than at a shop located away from the airport. You may also not find a great selection at the airport shops. Unique items from local artisans are typically best found while out and about on your trip. Gifts are great, but you don’t have to break the bank to find the right ones. The cost for airport parking can be killer on a budget. Even with a coupon, daily parking rates add up fast. Have a friend or family member drop you off at the airport instead of leaving your car there. Or, if that’s not an option, you might find that catching a ride to and from the airport from a car service or ride-sharing company is more economical. Be sure to check these options out before your next trip. Keep more of your hard-earned money while you travel or use it for unique activities during your trip. Check out our special offers for other money saving travel deals when you stay with us at Kilauea Hospitality Group.